Congratulations to Chuck and Robbie’s Dive Shop on their boat’s new custom tee top! 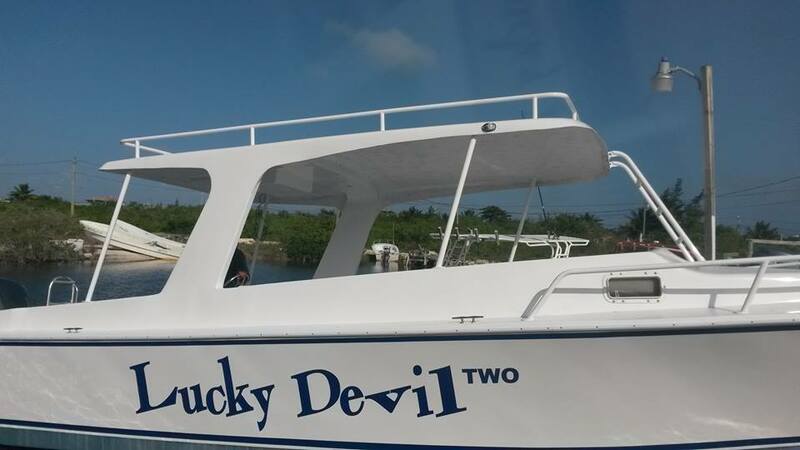 Customizations for Lucky Devil Boat! 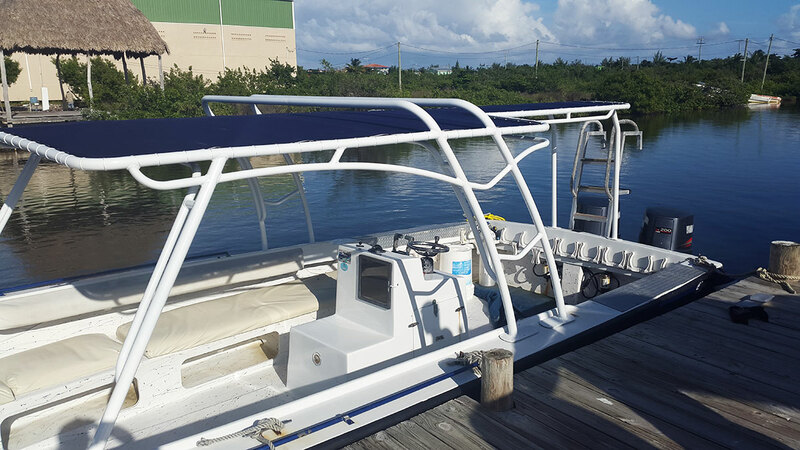 Lucky Devil Boat has been customized at Captain Shark’s Boatyard For railings, tops, ladders and more visit us at Captain Shark’s Boatyard. 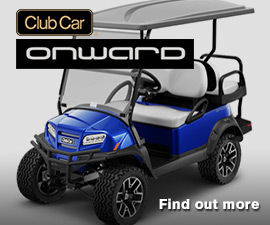 We can help you with any custom aluminum work you may need!